Easter and springtime both evoke a lot of feel good family memories for me. From my sister and I dressing in matching frilly dresses complete with bonnets, to Easter egg hunts, to a big family dinner with a pineapple rings and cherries studded ham, Easter has always been a time for family and for creating lasting memories. Another classic from my childhood Easters has to be jelly beans. 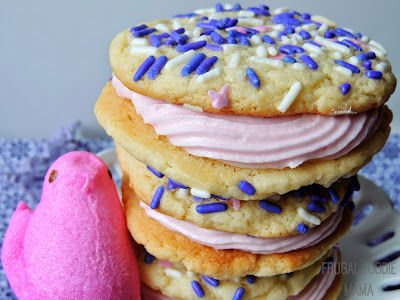 I mean, who can think of Easter and not also think of those colorful candies? 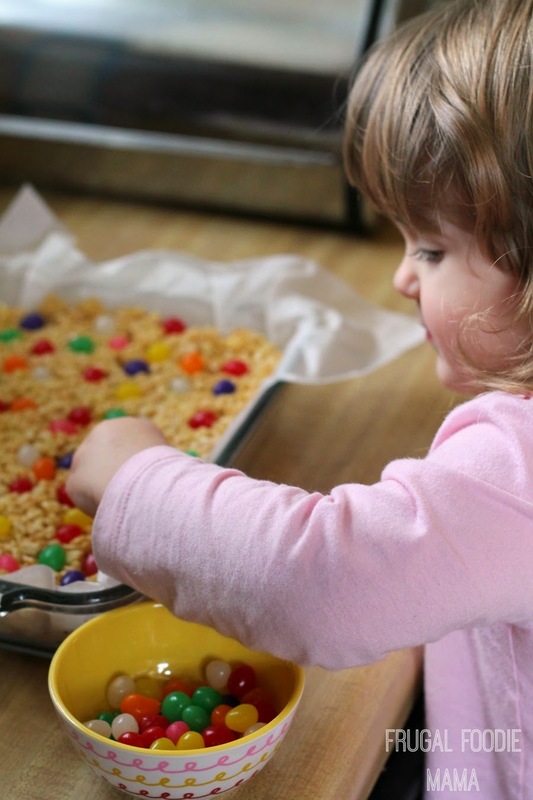 Granted, some people love them and some people could leave them (or could just ditch certain flavors of jelly beans- like those black licorice ones ;) ), but jelly beans have always been and always will be associated with Easter fun. In large saucepan, melt the butter over low heat. Add the marshmallows and stir until completely melted. Remove from heat. And in the packet of unsweetened drink mix and stir until well incorporated. Using a buttered spatula or wax paper evenly press mixture into 13 x 9 x 2-inch pan coated with cooking spray (or lined with parchment paper). 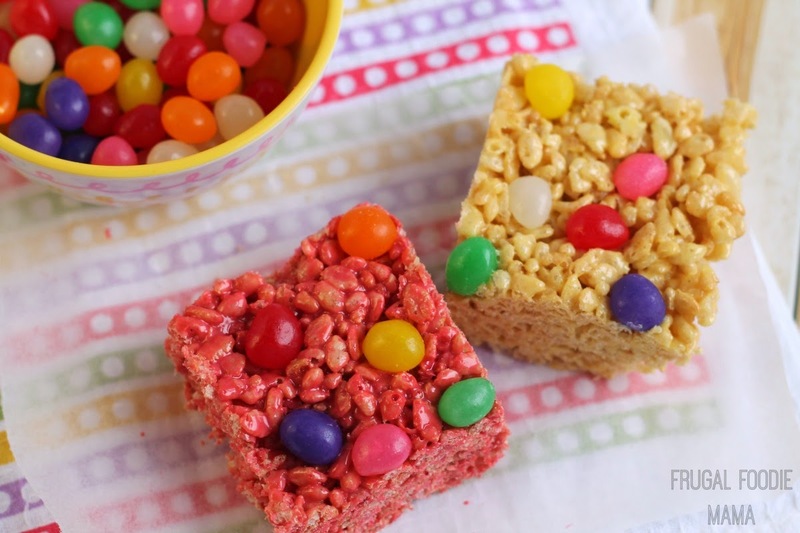 Gently press the mini jelly beans into the tops of the Rice Krispies treats while they are still a little warm and tacky. Allow to cool completely. 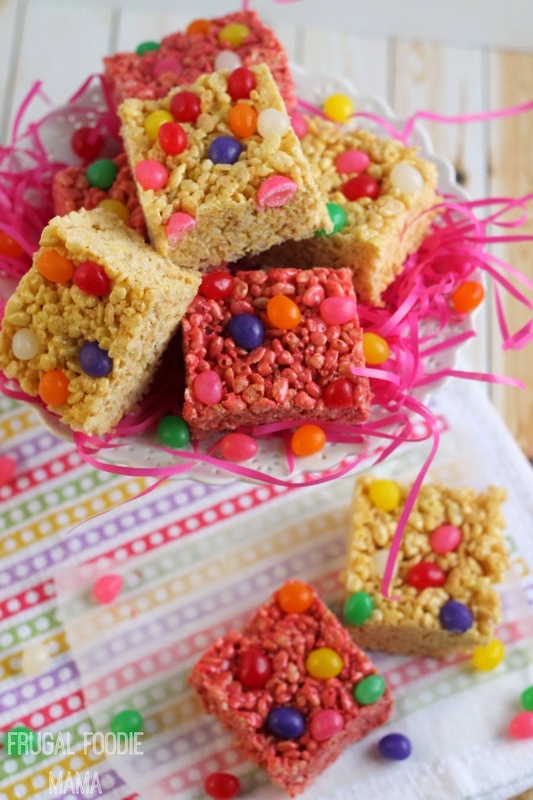 Classic Rice Krispies Treats always start with a simple, 3 ingredient recipe. From there, the flavor creations are endless! 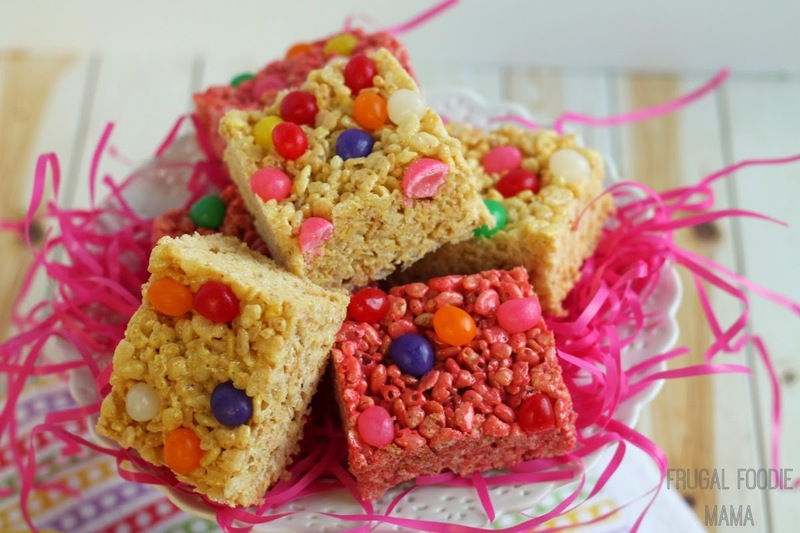 By simply adding just two additional ingredients to the original Rice Krispies Treats recipe, I have created a fun and fruity treat that the entire family absolutely loved. 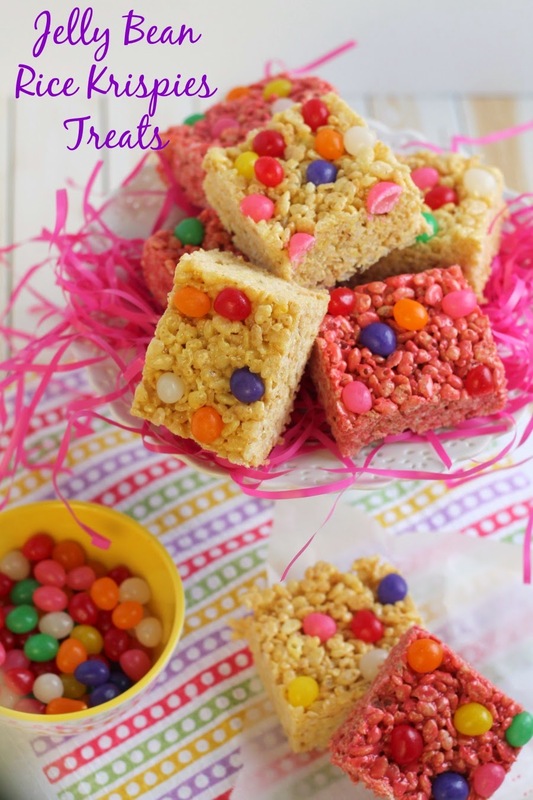 Which of your favorite Easter candies would you transform into fun & tasty Rice Krispies Treats? 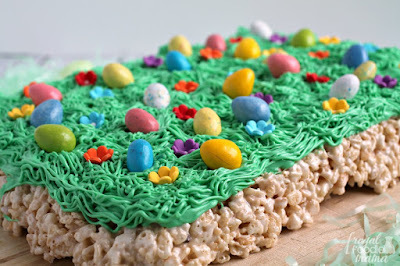 What are some of your favorite memories of or traditions for celebrating Easter and spring? 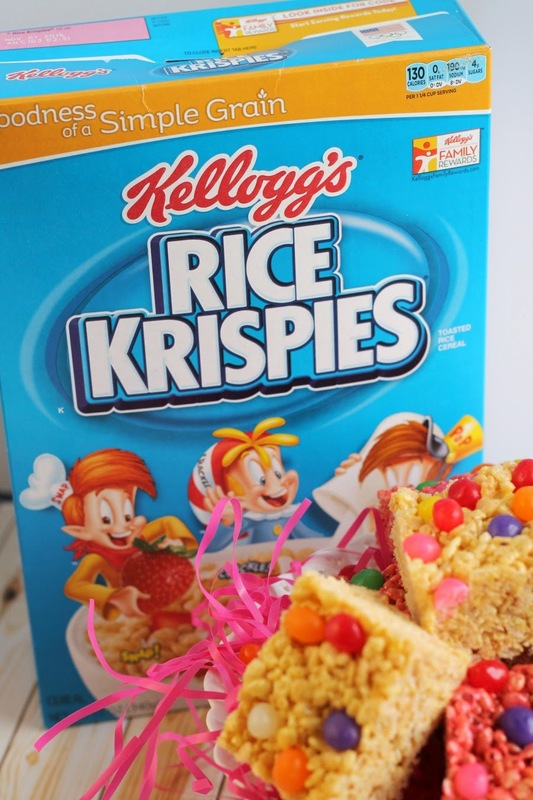 Be sure to follow Rice Krispies on Pinterest, Facebook, & Twitter for even more fun spring and Easter recipe inspiration!